Last week, The Ubyssey, the student newspaper at the University of British Columbia, declined to run an ad from the Salvation Army, both because of the content of the ad (weirdly anti-abortion) and also because of the Salvation Army's publicly homophobic stands. Here's what they had to say about it. After considerable staff discussion and a vote by the editorial board, The Ubyssey has opted to decline to run an advertisement from the Salvation Army, slated for the Oct. 25 print edition. The editorial board had grave concerns about both the content and source of the advertisement and thus cannot, in good conscience, accept it for publication. In a unanimous vote, the editorial board decided that we are uncomfortable running an ad from an organization like the Salvation Army. In the past 10 years, branches of the Salvation Army have petitioned all levels of government for policies that deny equal rights to LGBTQ people. In 2004, the Salvation Army threatened to leave New York City entirely because of an ordinance that required groups with contracts from the city to “offer benefits to gay employees’ partners,” according to the New York Times. Their current position statement on homosexuality “calls for chastity outside of heterosexual marriage.” While the Canadian branch has been less vocal on this front, we believe the organization as a whole ultimately dehumanizes a group of people on the basis of their sexuality. Like many other student newspapers in Canada, The Ubyssey has a longstanding ad boycott policy that allows the editorial board to refuse ads that are “overtly sexist, racist or homophobic.” As an editorial board, we can decline advertisements not only because of offending ad copy or artwork, but because we disagree with the source of the ad. 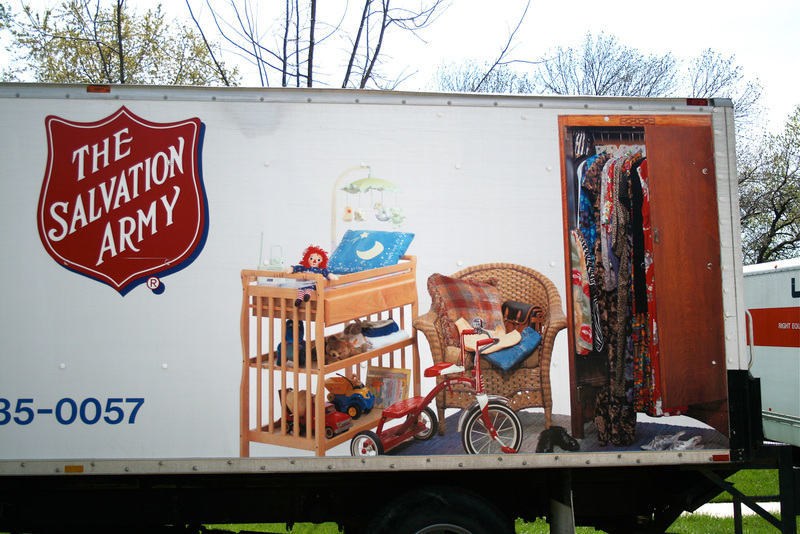 We understand that the Salvation Army provides vital social services like soup kitchens, shelters and thrift shops in many communities. But it also endorses and actively lobbies for social policies that shame people for who they are. It is on these grounds that we must decline this advertisement. All I can say is that I totally commend The Ubyssey's decision. [Full disclosure, I was an editor at The Ubyssey for two years]. This is pretty much the reason that student newspapers have ad boycotts.